If you are considering a career in Ultrasonography (also known as Sonography) it’s worth looking at online ultrasound courses as part of your ultrasound technician training. Not only is the training provided by ultrasound schools online more flexible than traditional classroom based training, but it’s also a lot cheaper – so you’ll usually be able to get your qualification for far less than you may expect. Ultrasonography (also called Sonography) is a diagnostic medical procedure which uses sound waves to create images of internal body organs and tissues. It has many different applications in medicine – from checking the development of a growing fetus to looking at blood flow through the heart. If you want to work in diagnostic medical sonography, you’ll need to qualify as an ultrasonographer or ultrasound technician. This is achieved by completing a recognised ultrasound training course, and passing examinations to receive your ultrasound technology qualifications. There are a number of different online ultrasound courses available. As well as the online learning element, you’ll also need to gain practical experience of medical ultrasound procedures and use of equipment in a clinical environment before you can qualify. In this article, we’ll take a look at how online ultrasound courses work and explain which courses can actually be taken via distance learning. How Do Online Ultrasound Courses Work? Most students like the idea of distance learning courses because they are flexible and you can study at your own pace. However, online ultrasound courses work differently to other distance learning courses because you’ll need to get practical medical ultrasound experience in a clinical setting. 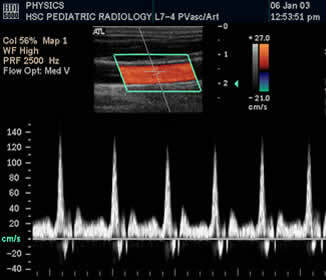 Organisations that provide online ultrasound courses try to be as flexible as possible for the clinical parts of the coursework. But these clinical modules do need to be completed, as ultrasonography is very much a practical ‘hands on’ diagnostic process. How Are Online Ultrasound Courses Structured? The training provided within online ultrasound courses is broken down into a series of modules – each module focussing on a particular area of ultrasonography. Tutors provide course notes, planning schedules and other interactive content – for example videos to watch and online quizzes to test your knowledge and understanding. If you get stuck or need some individual help, you’ll usually be able to discuss this with your trainer by telephone or email. As part of the online learning, you’ll use the same textbooks you would use if you were taking a traditional classroom based ultrasound course. These textbooks are often supplied as part of most online ultrasound courses. Ultrasound students combine their online ultrasound courses with practical clinical sessions, which can be done at local medical facilities, technical schools or community colleges. When looking at online ultrasound courses, it’s always a good idea to ask the training provider for details of your nearest clinical facility. What Subjects Are Covered In Online Training Courses? Sectional Anatomy. This module takes a look at human anatomy from a cross-sectional perspective. You’ll learn how to understand and interpret the flat cross-sectioned images produced by ultrasonic machines. 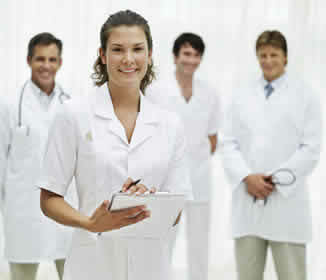 You’ll also cover musculoskeletal ultrasound and vascular ultrasound techniques. Diagnostic Imaging. You’ll learn how ultrasonic imaging actually works, and find out how to identify any tell-tale signs of illness, disease or irregularity of body organs and tissues. Clinical Practicum. This is the practical, clinic-based part of the course where you’ll learn practical ultrasound scanning. You’ll gain hands-on experience of how to use ultrasound equipment to diagnose conditions and illnesses in a real life working environment. Medical Law and Ethics. This module will give you an understanding of the ethics, regulations, laws and rules which you need to follow when working with patients in a clinical environment. You’ll also need to keep your knowledge current with continuing medical education (i.e. cme credits) to continue to practice. As we’ve seen, there are many advantages to online ultrasound courses from lower course fees to greater flexibility. But some people do prefer the discipline of a traditional classroom environment. If you are unsure which is the best choice for you, we would recommend contacting a few training providers first to see what online ultrasound courses they offer. By understanding all your options, you’ll then be in a far better position to decide whether online ultrasound courses are the right training choice for you.